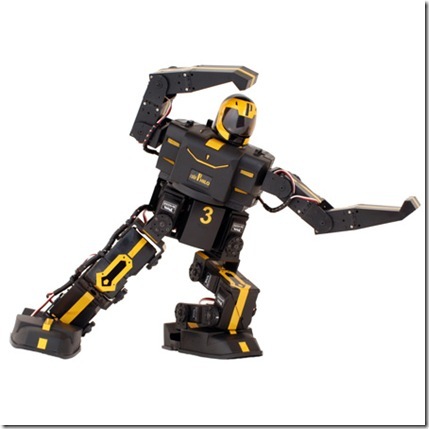 Robophilo offers you a humanoid robot for around USD $500 which can do many complex movements that includes walking. 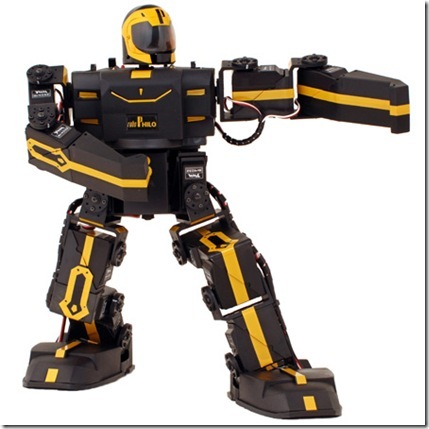 This robot has got 20 servo motors can be programmed by PC or the included remote control. 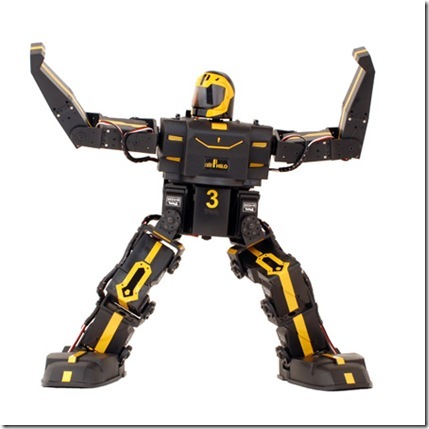 The robot weighs 1.2 kg that includes battery weight and measures 13 inches in height. One thing that I would suggest these guys is to use the lithium ion or lithium polymer batteries instead of Nickel Metal hydride (NiMh) batteries as the lithium batteries offer better performance but the price definitely go up. Looking at video above we come to know that this robot is amazing and shelling $500 is really worth for this stuff. 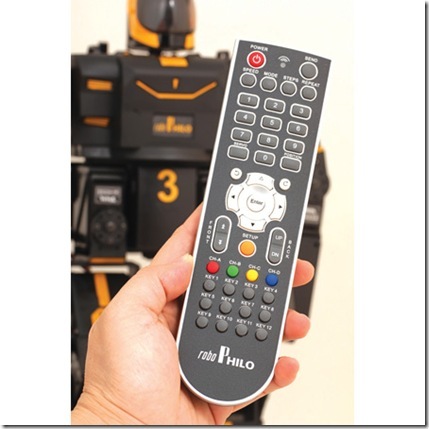 If you are robot enthusiast then this definitely a good buy for you this season.